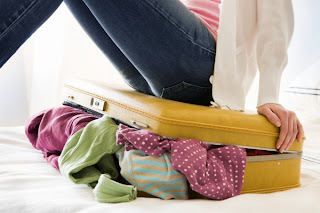 Getting ready to go away for Fourth of July and can't remember if you packed everything? It’s time to take a break, get out of town and relax in the beautiful sunshine. 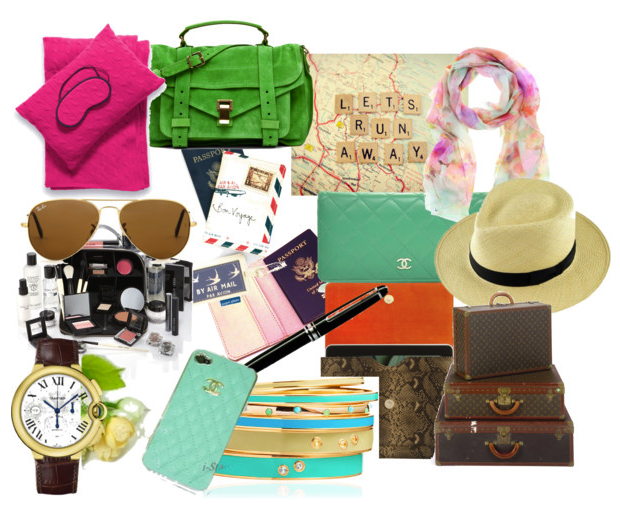 Enjoy your summer getaway to the fullest with our vacation-packing checklist. Hit the beach and show off your curves with the cutest swimwear. Trying to put on wet, sandy swimsuits is a drag, so make sure to pack at least a couple of suits you love. A nice sarong or stretchy sundress makes a great cover-up so you can head out directly from the beach to other activities. Summer vacation is all about fun, so pack a variety of shoes for all occasions. A comfy pair of flip-flops is perfect for the beach or pool, but if you plan to go out at night you might want to dress up. Bring along a trendy pair of wedge sandals, which will put the finishing touch on any outfit. And don’t forget your sneakers for hikes, sports or other casual activities. the Kerastase Resistance Ciment Thermique Heat-Activated Reconstructor for perfect silky hair. It’s fun to play in the sun, but keeping your skin healthy and protected is crucial. A trendy pair of sunglasses will shield your eyes, while you protect your whole body from the sun’s damaging rays with plenty of sunscreen. Our clients’ favorites are Hamptons Sun SPF 35 & Ultra Sensitive tint by Dermalogica. Got gadgets? We sure do! Keep your smart-phones, tablets, cameras and other favorites charged up and ready at a moment’s notice with a multi-gadget charging station. Need a little downtime? Don’t forget your iPad! Before you leave home, take time to load up your tablet with plenty of good books, movies and magazines. It’s less bulky than bringing a backpack full of paperbacks and DVDs -- and you’ll always have something entertaining on hand. No one wants to get sick on vacation, but it’s always best to come prepared. Stay on top of your game during all your adventures with a small first-aid kit outfitted with everything you might need in case of allergies, colds and flus, motion sickness or minor cuts and scrapes.